So how do you combine the luxury of modern security features, heat retention and quality whilst trying to keep the character of your property. 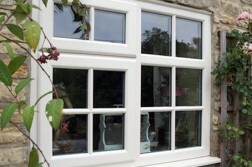 Modern heritage windows are designed to do just that. 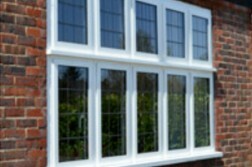 With a wide range of special features, we can tailor-make your installation to suit the style of your property and even, using the most up to date uPVC technology, give your property the look and feel of its original design. 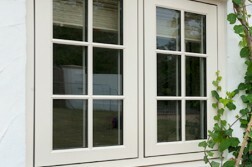 Tilt and turn windows with the benefit of controlled ventilation and easy cleaning. 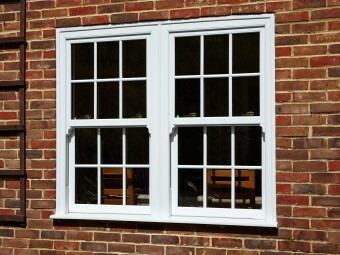 Vertical sliding windows which perfectly mirror the features of traditional wooden sash windows but with all the benefits of uPVC technology. 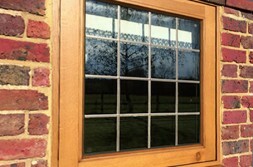 Run-through sash horns which replicate the traditional techniques of manufacture in modern fabrication. 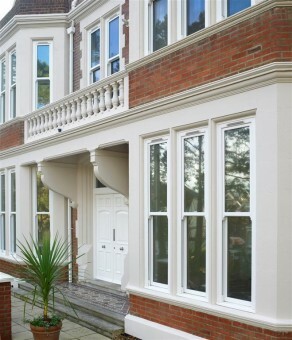 To really enhance your heritage windows why not also look at enriching your propert y with decorative glass panels to really give you the kerb wow factor. Choosing from diamond or square leaded glass to bespoke coloured glass designs or adding arched overheads can really enhance your property. Whatever your needs our design consultants are here to give advice and guidance to give you the best options for your home, so for an informal chat call 020 8683 1234 and we will be happy to help.